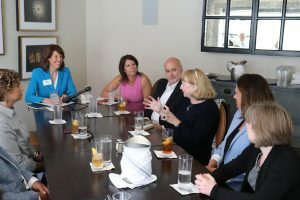 On Tuesday September 18, Cindy, Reps. Bustos and Pocan (D-IL), and 10 small business owners sat down at Bubba Restaurant to discuss the challenges they face in Iowa, and the best ways to fix them. 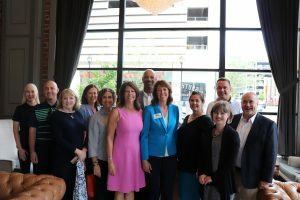 The discussion specifically focused on how to increase access to capital, and how legislators can support small business exports, and tech start-ups. Cindy talked about her own experience as a small business owner and heard from her fellow business owners about their unique challenges and needs. They addressed improving and strengthening trade promotion programs that focus on helping small, women, minority, and veteran-owned businesses. Additionally, the conversation focused on, how international tariffs are hurting their companies. 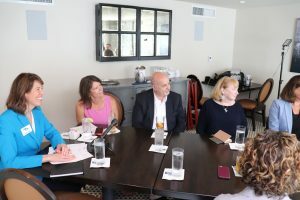 After listening to their issues, Cindy discussed her plans to work on increasing the allocation of federal contracts to under-represented groups and increase investment in the technology that allows small businesses to compete. Fortune 500 companies still dominate exports, and Cindy wants to open markets for our small businesses. To do so, Cindy knows that the government will have to be held accountable for fulfilling their contract requirements, and more investment will have to go into technology infrastructure.